What is adol composed of ? ceplets : Each caplet contains. Excipents: maize starch. povidone aerosil, methyl and propyl paraben , gelatin powder, glycerol, talc (purified). and magnesium stearate. What should you know about Adol ? What is Adol used for ? throat. Adol is effective in reducing lever that may accompany various types of infections specially in case of cold or flu it is also used to reduce fever that may occur after vaccination Adol is ccnsroered the pam reliever and fever reducer of choice specially in pauents in whom NSAIDs or salicytates. such as aspirin are contramdicated such patients include asthmatics, those with history of peptic ulcer, ctuloren. or elderly. How should you take Adol ? – In post vaccination fever that may occur in infants 2 . 3 months of age, a single dose of 60mg (2.5ml of syrup or suspension 120 mg /5ml) IS given, followed, if necessary, by a second dose 4 . 6 hours later. If fever persists, seek doctor’s advice. – Infants below 3 months, the recommended dose is 10 mg/kg body -weighl or 5mg/kg body-weight it jaundiced Adol Drops for Infants are available – For sachets, tear or cut open the sachet as indicated then pour its contents directly mto the mouth and swallow. What should you do if you miss a dose ? – Most of the lime the medicine is taken ‘as needed’, so missing a dose should not be a problem. – If it is almosttime for the next regular dose, wait untitthen 10 take the medicine and skip the missed dose. What should you be aware of ? Do not take more than 2 tablets. cactets. or suppositories at one lime. and do not take more than 6 in 24 hours. 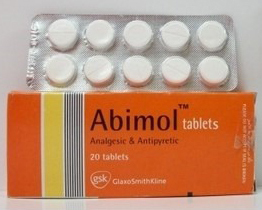 Take care nolto exceed the maximum paracetamol dose when taking ADOl with ether paracetamol contaning preparations. Caution is required if you are suhering from any or kidney problem. as wet! as, if you are alcoholic. Paracetamol use is safe in pregnancy and lactation when taken within the recommended dosage. Is there any undesired effects ? What to do in case of overdose ? – Giving the patient Ncacetylcysteme or methionine within 10 . 12 hours of mqesucn. – Instituting supportive treatment that includes maintaining lhnd and electrolyte balance. Is there any drug interactions ? Concomitant use of cholestyramine with paracetamol may reduce paracetamol absorption Metoclopramide and domperidone seem to enhance paracetamol effects by accelerating Its absorption when used concurrently Using paracetamol regularly for a prolonged period of time may possibly enhance tne anticoagulant effect of warfarin upon their concurrent use. Taking imatinab (antineoplastic agent) concurrently with paracetamol is better to be avoided. What are the available Dacks of Adol ? Adol caplets: Pack of 24, 48, or 96 caplets. 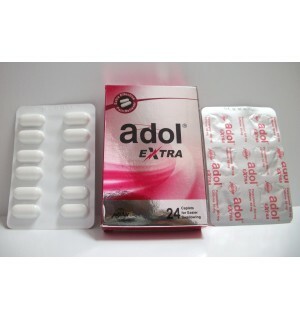 Adol tabtets: Pack of 20, 50, or 100 tablets. Hospital pack of 1000 tebtets. Adol suppositories: Pack 01 10 suppositories. Adol syrup: Bottle containing 60 or 100 ml. Adol suspension 120 mg/5ml : Bottle contalnmq 100 ml. Pack of 20 sachets of 5ml each. • Store at a temperature of ‘5 . 25 ‘C. Protect the suppositories from heat.